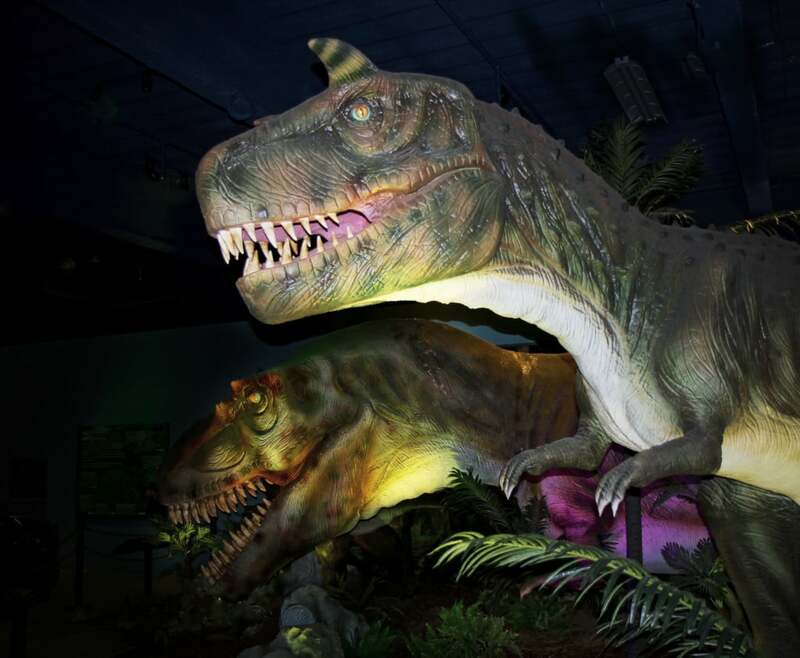 Do you imagine what life was like when dinosaurs roamed the earth? 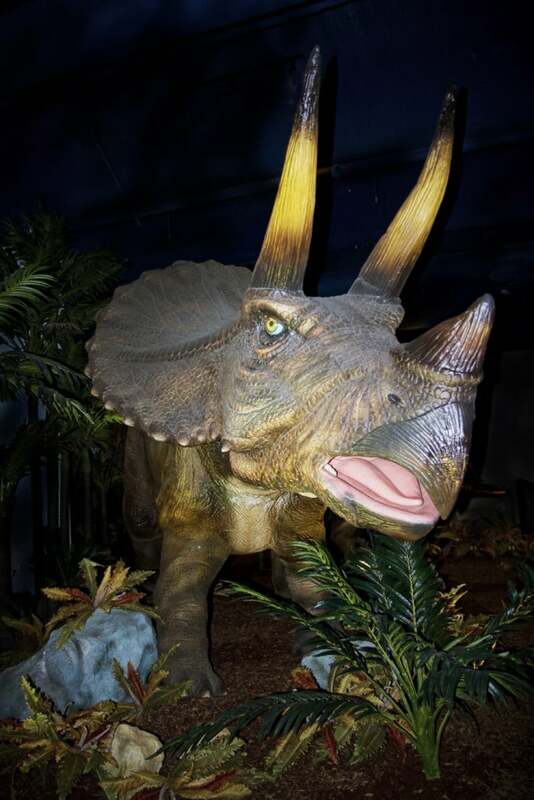 Now you can step in time and observe some of the most unique creatures that have ever walked the face of the earth in Extreme Dinosaurs at the Discovery Cube OC. 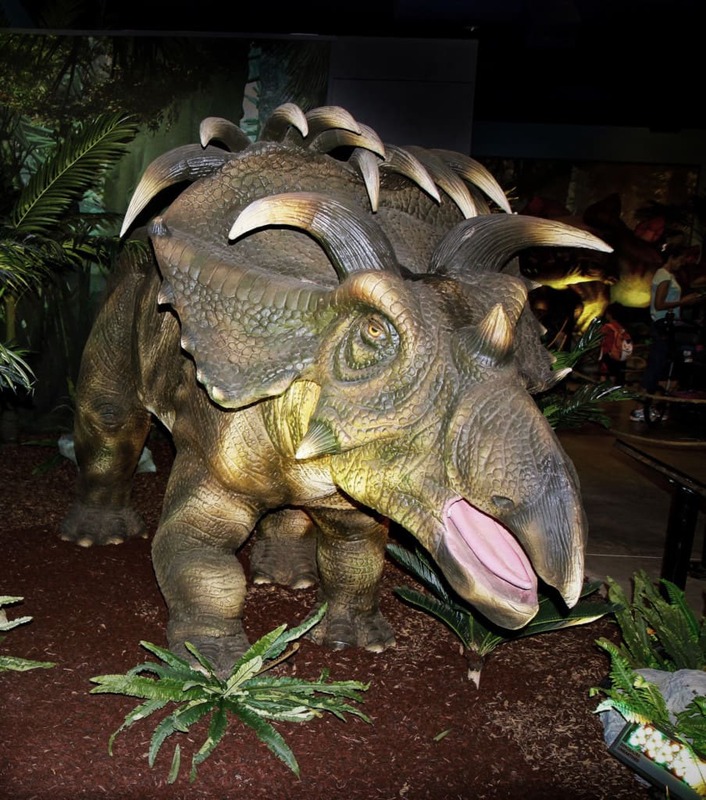 Dinosaurs first appeared during the Triassic period, 231.4 million years ago. The Cretaceous–Paleogene extinction event (known as the main event that led to the mass extinction of three-quarters of the plant and animal species on Earth) concluded with the extinction of most dinosaurs at the end of the Mesozoic Era. 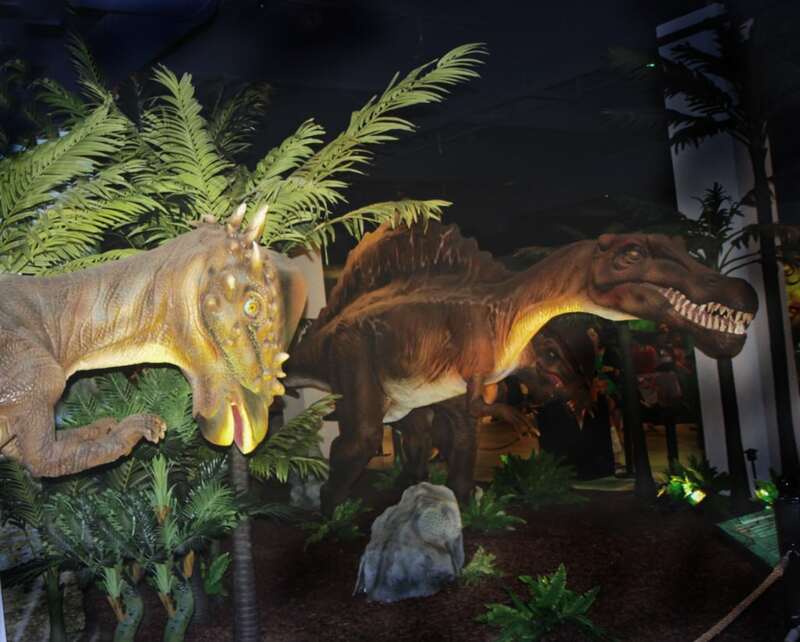 Extreme Dinosaurs at the Discovery Cube OC transports you back to this Mesozoic Era to showcase the world’s strangest dinosaurs with 17 life-size animatronic dinosaurs along side full-scale skeletons and real and replica fossils. 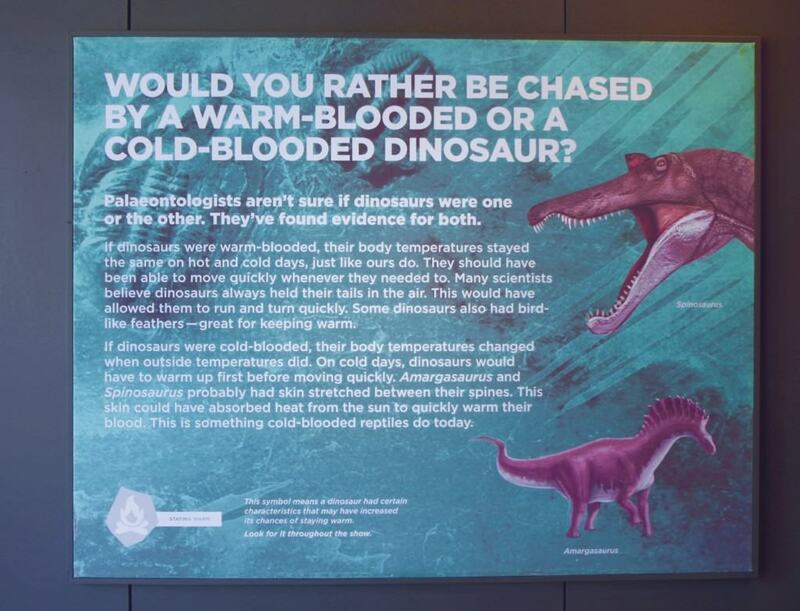 The exhibition features some of the newest, bizarre dinosaurs found to date from the current “Golden Age” of paleontology. 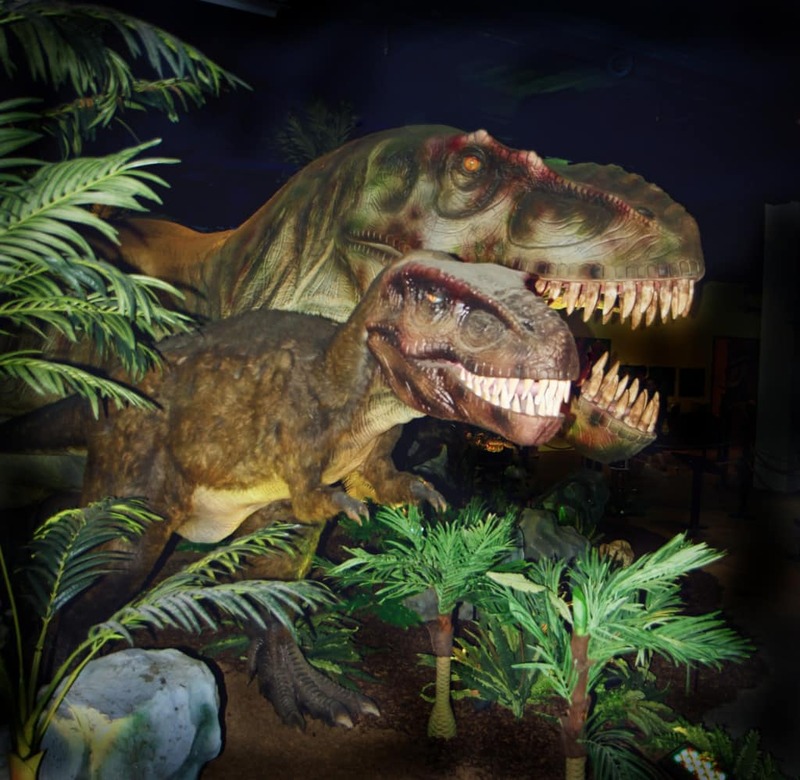 You will see a wide variety of thrilling dinosaurs from the infamous T­-rex to the beloved Triceratops. 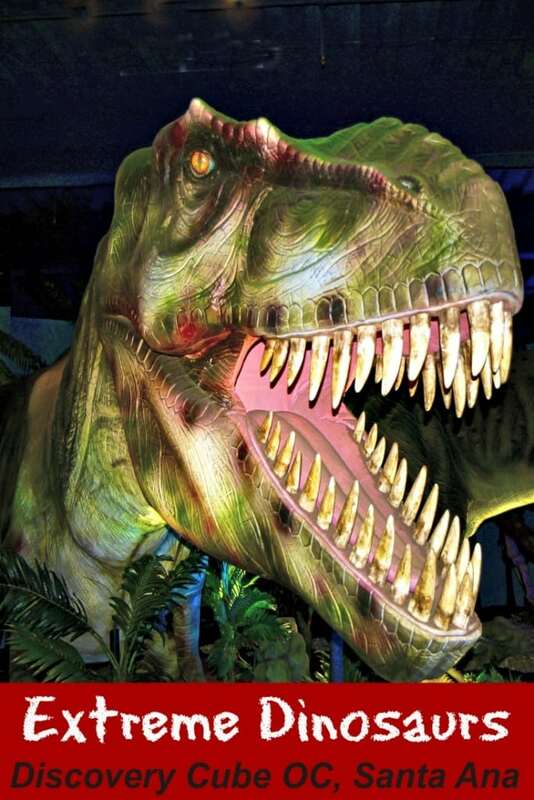 Some of the life-size animatronic dinosaurs like to roar, snarl and move their limbs as you walk them. 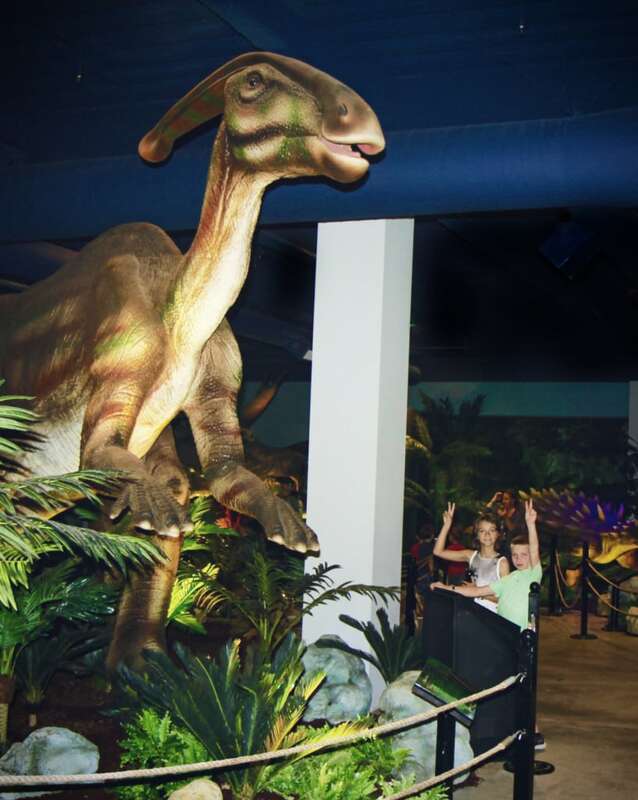 There are also several Make Me Move consoles that kids can use to initiate movement of the animatronics and hands-on touch screen panels that introduce children to the different dinosaurs on display. 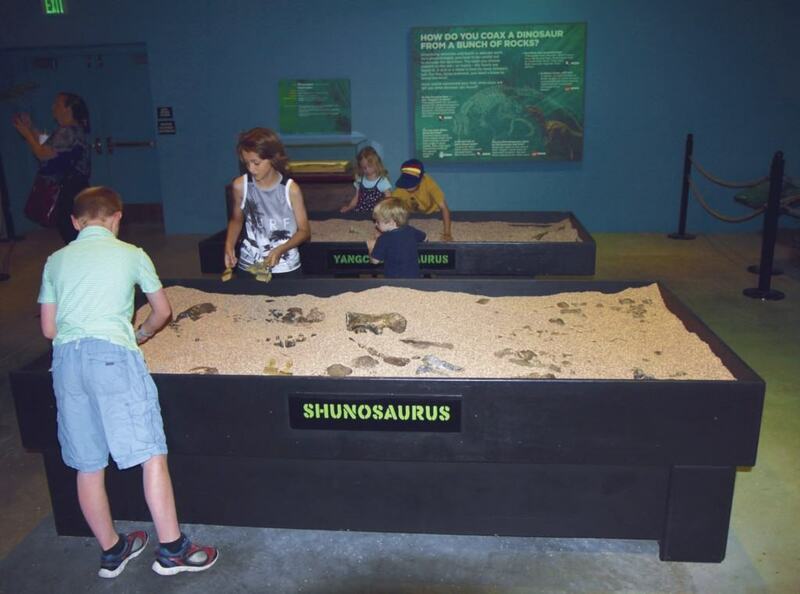 Young paleontologists can search for dinosaur fossils in one of the two dinosaur digs made out of foam bits or meet with a Discovery Cube staff member to find learn more mysterious facts. Watch out for your neighbor though! 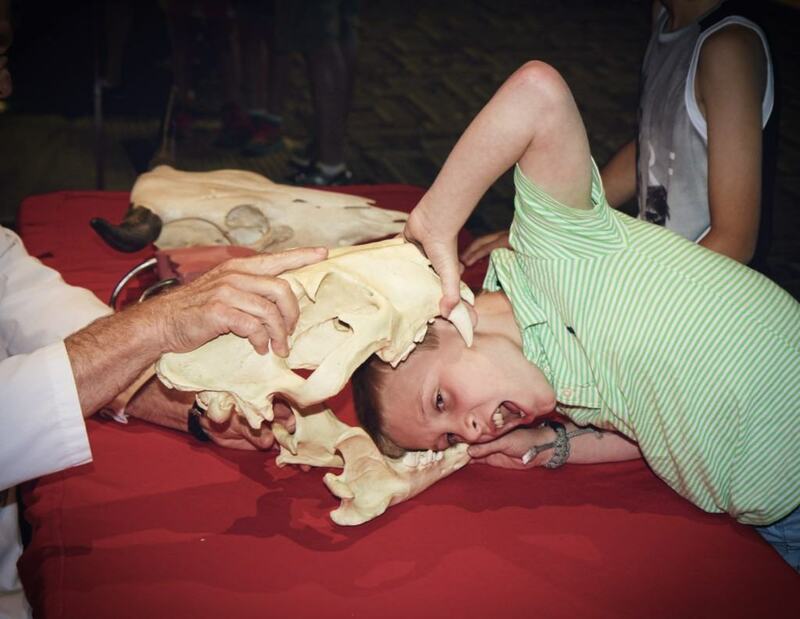 They might just get their head stuck in an ancient dinosaur fossil like Field Trip Boy did! There is even a Dinosaur Detective quiz for those that want to dive deeper into the topic. 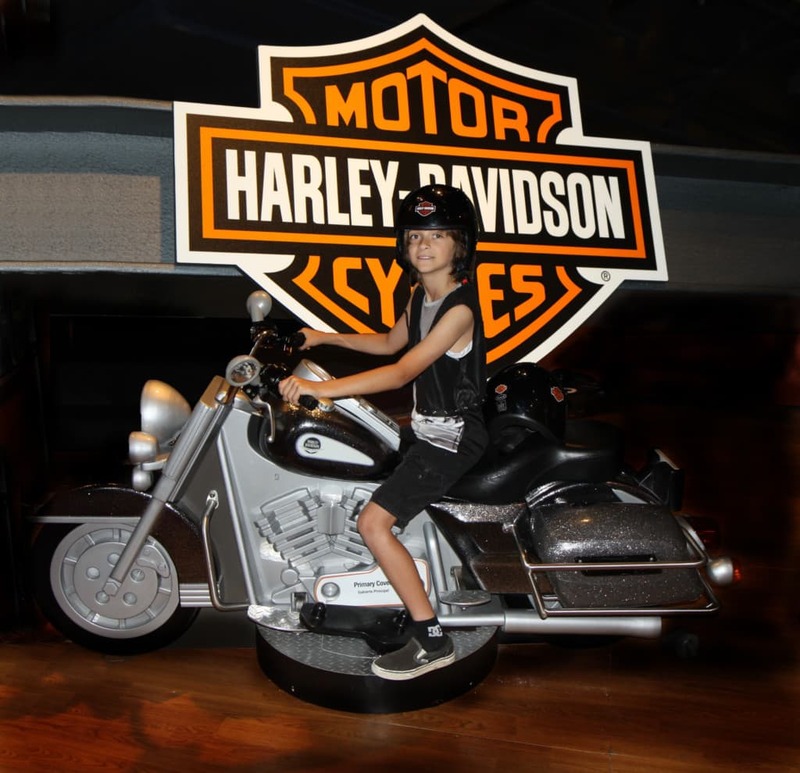 While at the Cube, you will also want to check out the new Hands-On Harley-Davidson™ exhibition. 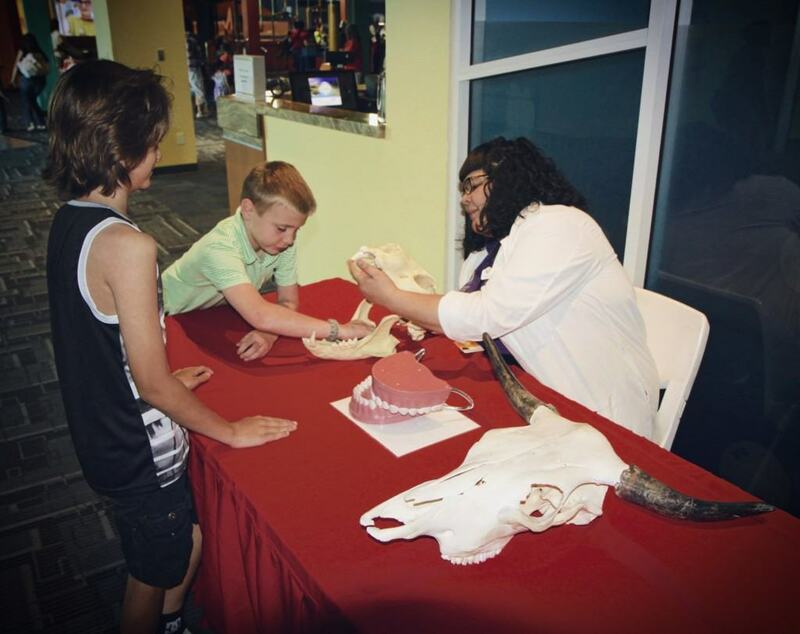 This interactive experience illustrates science, technology, engineering and math (STEM) concepts through a one-of-a-kind exhibit that lets kids Dream It! Build it!… and Ride It! The price of admission to the Discovery Cube OC is $17.95 for adults, $12.95 for kids 3­-14, kids 2 and under are FREE. General admission includes access to all current exhibits including Extreme Dinosaurs and Hands-On Harley-Davidson™ exhibition. There is an additional cost to see a 4D movie. Parking is $5. Since some parts of the exhibit are louder than others, I recommend Extreme Dinosaurs for children ages 4 and up. The Discovery Cube OC is located at 2500 N Main St, Santa Ana, CA 92705.